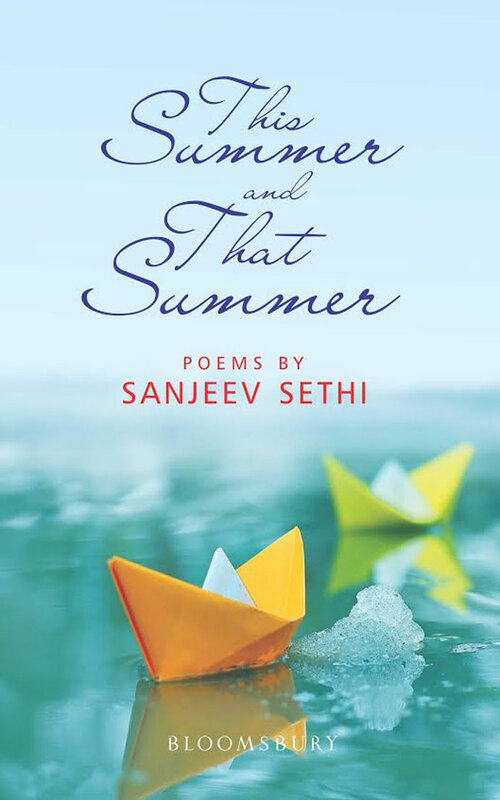 The recently released, This Summer and That Summer (Bloomsbury) is Sanjeev Sethi’s third book of poems. His work also includes well-received volumes, Nine Summers Later and Suddenly For Someone. He has, at various phases of his career, written for newspapers, magazines, and journals. He has produced radio and television programs. His poems have found a home in The London Magazine, The Fortnightly Review, Allegro Poetry Magazine, Otoliths ,Solstice Literary Magazine, Off the Coast Literary Journal, Synesthesia Literary Journal, Oddball Magazine, Hamilton Stone Review, Dead Snakes, Literary Orphans, Crack the Spine Literary Magazine, and elsewhere. He lives in Mumbai, India. Posted in Poetry and tagged This Summer and That Summer. Bookmark the permalink.